← My mom… and Rhoda…standing in the light. Instead of sitting around waiting for the 210,000 gallons/day of crude oil that are gushing out of the exploded British Petroleum Deep Horizon rig , 40 miles off the coast of Louisiana, to hit the fragile marshes and pristine Gulf beaches, here’s something better to do. Go get your hair cut. 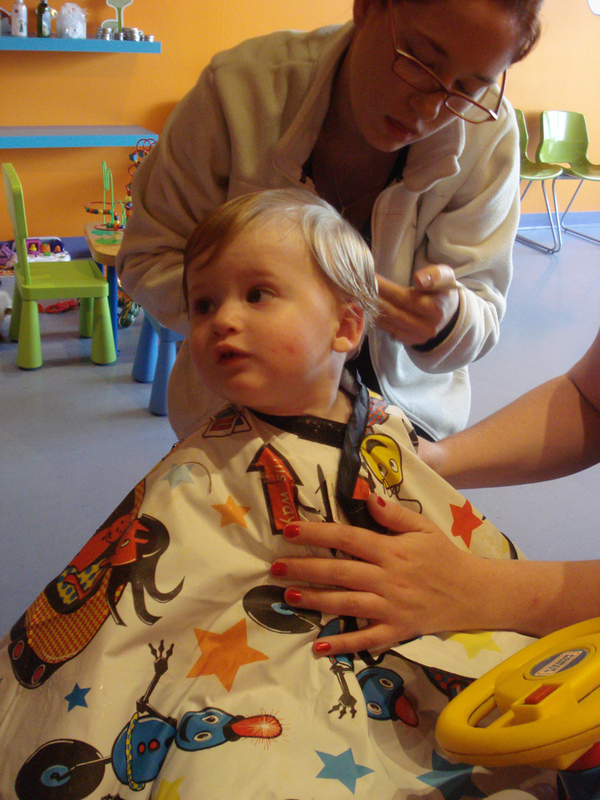 Get your kids’ hair cut. Get Fifi’s fur cut. And while you’re at it, peel off those pantyhose. You’ll be joining legions of salons and individuals across America who have started a crusade to send millions of pounds of human hair and animal fur to warehouses in the Gulf, where it will be stuffed into recycled nylons and mesh to make booms that soak up oil and protect the beaches and wildlife. 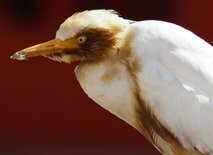 A cattle egret, stained with oil. Sound too weird to be true? Well, Matter of Trust, a San Francisco nonprofit environmental group, has been using hair to clean up oil spills since 1998, and they claim one pound of hair can absorb a quart of oil in one hour. 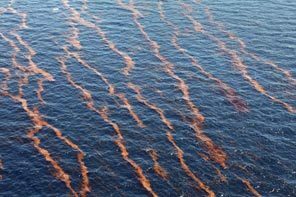 When you consider one quart of oil can contaminate a million gallons of drinking water, hair may just well be the root of the solution (or amelioration) in this latest environmental crisis. 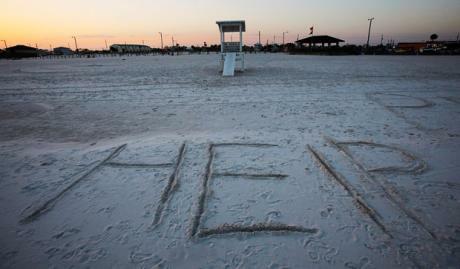 People in every state from Maine to Alaska and internationally are expressing a groundswell of enthusiasm for the idea. Salons and individuals are lining boxes and sending in tons of hair. Lisa Gautier, founder of Matter of Trust, has seen so many donors step up, the group is accepting packages in waves, sending hair directly to 15 collection sites in Louisiana, Mississippi, Florida and Alabama. From those warehouses, volunteers will be stuffing the hair and fur into nylons (Hanes donated 50,000 pairs and you can send clean used pantyhose, too) or into special mesh using PVC pipe, a broom or toilet plunger, then tying it off. Amanda Bacon & friends at a 'Bama Boom B-Q party -- yum! 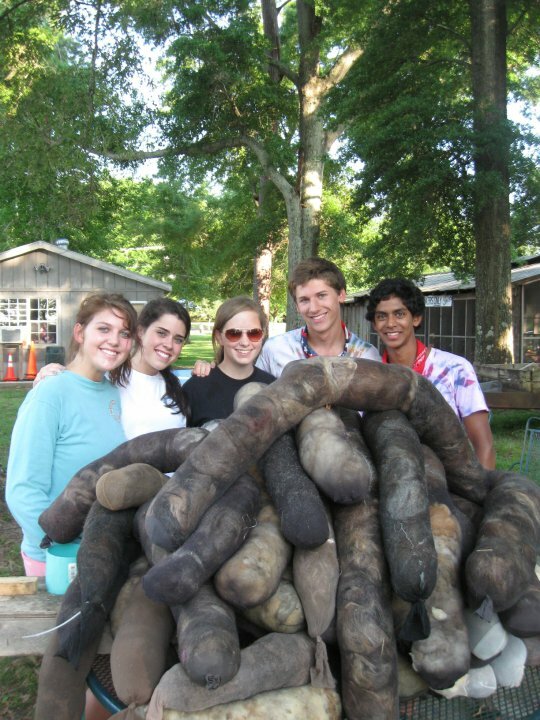 The final product looks like a huge, revolting boudin sausage and the whole idea is kind of disgusting – until you ask yourself: how disgusting is a beach covered in tar? Or how painful is it to watch a bird covered in oil struggling to fly? Then the nasty hair boom, with all its oil-soaking ability, starts to look like a thing of beauty. And the Boom B-Qs, the volunteer boom-making parties being held up and down the coast, are simple acts of genius. About 370,000 pounds of hair are cut every day in America, and it’s estimated that 1 million pounds of hair will protect 130 miles of coastline. I say we can’t start snipping and B-Qing fast. My $100 is going to Matter of Trust to buy mesh, which costs $61 for 150 feet. You can click to donate or visit the site to find how to send hair, or volunteer.